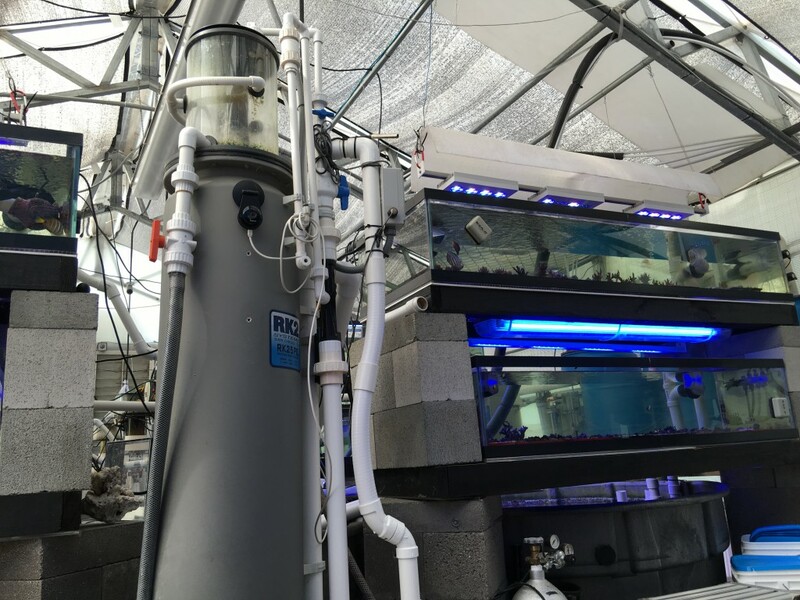 In 2016, the systems at Tidal Gardens, our coral culture facility in Ohio, are a mix of custom glass aquariums and Rubbermaid stock tanks. Originally, back in 2002, all the tanks were some combination of 300-gallon and 150-gallon stock tanks because they were by far the most cost-effective containers that were truly rugged. After all, anything that was built to be strong enough to get kicked by a horse or cow should hold up to the sort of beating we dish out here. Just starting out, hundreds of gallons worth of custom glass was not in the budget, so it was important to find containers that were both rugged and economical. For that purpose, Rubbermaid stock tanks were wonderful, because they were robust and cost less than $1 per gallon. 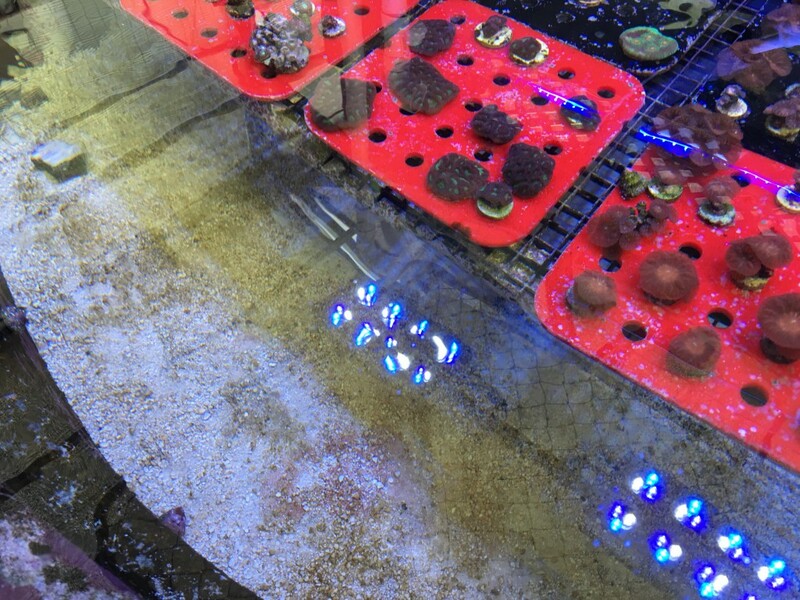 Newer glass culture tanks are run bare-bottom at Tidal Gardens. But are they working the best? 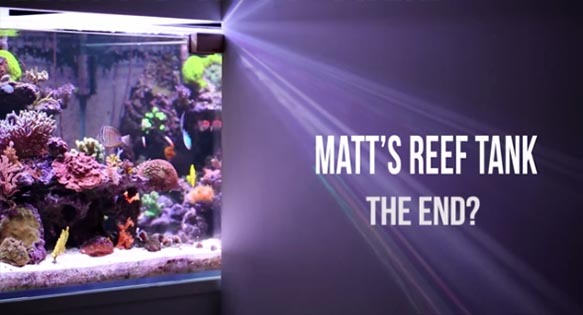 Over time, though, we incorporated more glass aquariums, because we found that neglect is the #1 killer of corals, and just being able to see the corals made a huge difference in their health. We were able to quickly spot issues and deal with them, rather than noticing them much too late in the process to do anything meaningful. It is amazing what just a little bit of surface agitation hides from view when looking top down into a stock tank. 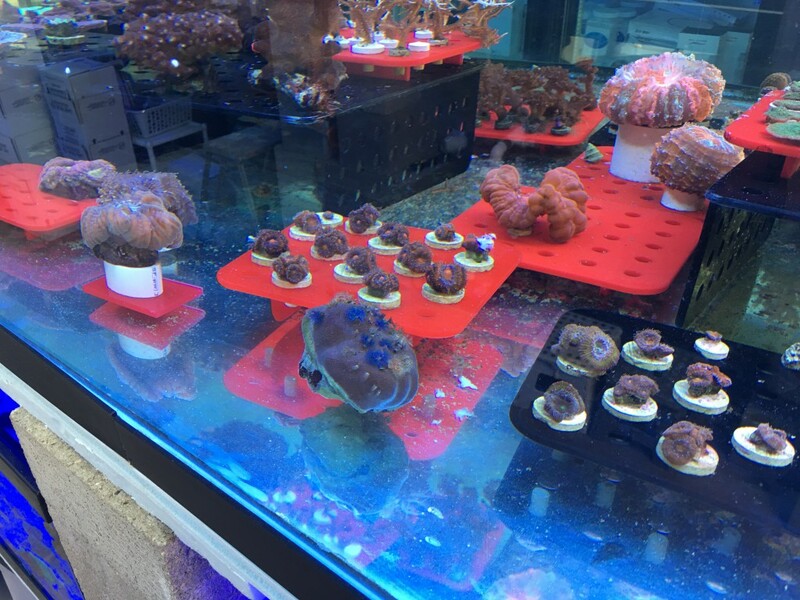 Bare-bottom coral culture tanks look nice, but require constant maintenance to prevent fouling. Although the greenhouse is now full of glass tanks, the stock tanks never left the system. At the end of the day they still provide a good amount of volume and can house some corals that we didn’t mind being left on the back burner. A large coral culture stock tank with sand substrate that, surprisingly, seems to stay very clean. To our surprise, it was these tanks that flourished. We didn’t go out of our way to clean them or anything, yet the substrate stayed pristine-looking and the fish and corals in them looked amazing, despite being piled on top of one another. In comparison, bare-bottom stock tanks accumulated an unsightly layer of detritus. This was not a problem in our glass systems, because they were diligently scrubbed and polished to maintain a clinically clean appearance; however, that was not realistic to do in the stock tanks. After seeing the results in the tanks with plenty of rock and substrate, it was a no-brainer to convert all of our existing stock tanks to ones with sand bottoms. After putting close to 1,000 of sand into 5000 gallons of reef tanks, I’ve learned some practical tips. First off, take a moment to consider the type of sand. Not all sand is created equal. I am partial to the whitest calcium carbonate-based sand I can find. Most people don’t realize this, but often, when you go to a beach, the sand there isn’t native. Lots of beaches are man-made and the sand is silica-based. It’s a little more yellow in color and it has some other undesirable properties compared to calcium carbonate. When you walk on a beach with silica sand, it is really hot and the sand sticks to you. Calcium carbonate, on the other hand, stays cool and brushes right off. In the tank, it has a more pleasing appearance and can help buffer the water chemistry, much like a calcium reactor does. A simple vinegar test can be used to check whether a sand is calcium carbonate-based or silica-based. One way to see if you have calcium carbonate is to take a small vial of vinegar with you. 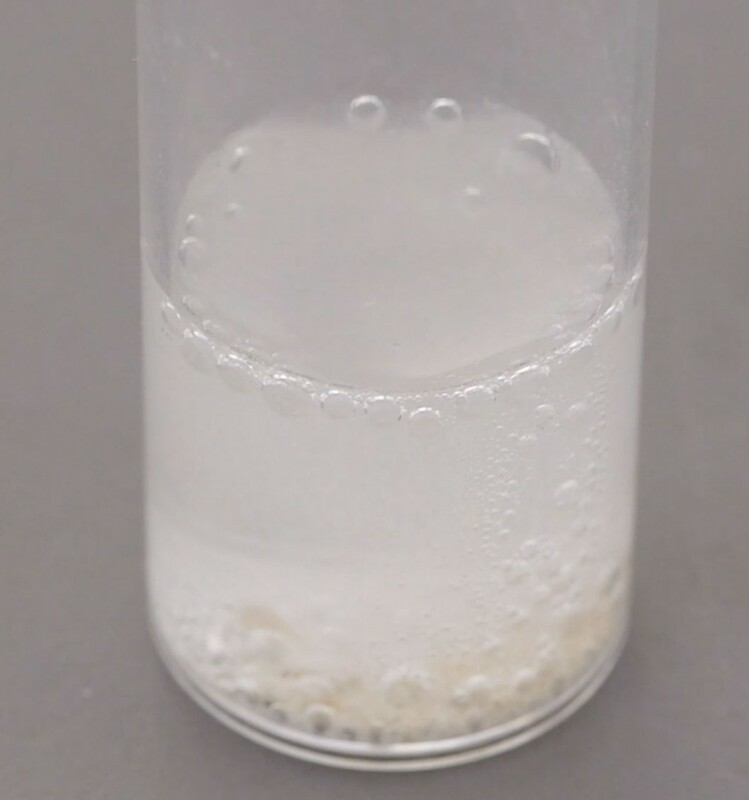 If you put a little bit of sand in the vial, it should begin bubbling immediately as the acidity of the vinegar dissolves the calcium carbonate. Silica does not react to vinegar. Sand, especially fine sand, is very silty. If you put this into your tank as-is with no pre-rinsing, the cloudiness of the water may take weeks—literally weeks—to clear. To avoid this, I recommend rinsing the substrate. A common mistake people make when rinsing substrate is to try to rinse a large quantity all at once. For example, placing the sand into a bucket and stirring it is not going to be very effective. Chances are, it will not be rinsed well enough and the tank will still have that murky look for days. When I rinse the sand now, I only do it in very small quantities at a time and just be patient with the process. Adding this pre-rinsed sand to a system clears up quickly as the finer particles have already been extracted. Waiting for cloudy water to clear is a huge pet peeve of mine, and this method keeps the cloudiness down to an hour, tops. Sure, it takes more effort up front, but it certainly doesn’t take a week. Also, I’m adding this sand to systems with fish and coral already, so the sand has to clear up fast. As I mentioned before, the main reason I went with the sand substrate is low maintenance. We spend a great deal of time maintaining our bare-bottom glass tanks, and practically speaking, we simply did not ever get to clean the Rubbermaid stock tanks when they had bare bottoms. It became an out-of-sight, out-of-mind scenario, and they just fell into neglect. This went on for years, as a matter of fact. It was only dumb luck that we had to move a bunch of sand down into the tubs, and luckily we did, because those tubs maintained a very clean appearance with zero effort on our part. Having said that, things could always be a little cleaner. We did not add any sand-sifting fish or invertebrates, but there are some good options out there. If I were to add anything, I would add one of these guys: a cucumber. They don’t deplete the sand bed of life like the sand-sifting starfish, and they don’t jump out of the tank like sand-sifting gobies. For whatever reason, bottom-dwelling fish are the first to launch out of the tank. In our wide-open tanks, it is just a matter of time before they make it out. Some reef-keepers I know also like to keep conchs. They seem to do a good job stirring the sand, but in my experience they didn’t do a whole lot. I likened it to taking an empty shell and burying it in the sand. Ok, that’s all I have for the substrate update. It’s almost like Jekyll and Hyde designed these systems. Half the tanks are surgically clean bare-bottoms, and the other half are completely neglected sand bed tubs. So far, so good, though.